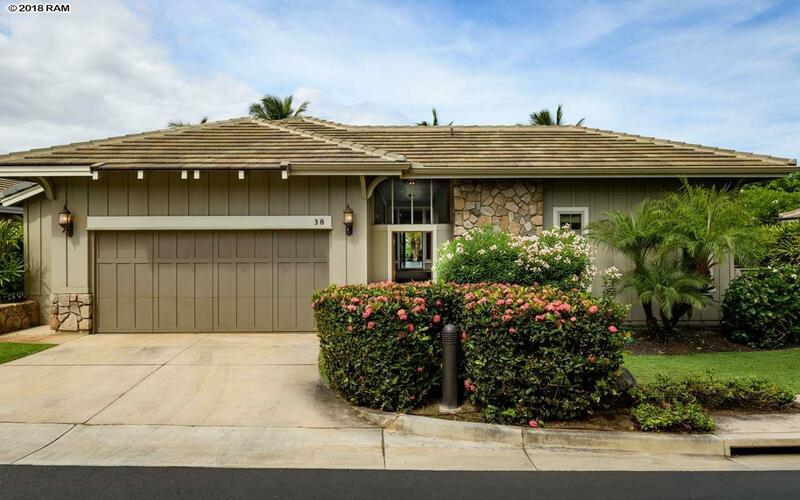 You will enjoy truly elegant, single level, open floor-plan living in this custom designed, developer-owned, unit at Kanani Wailea. You enter into a secure, private, lushly landscaped inner-courtyard with natural quartzite-tiled walkways & access to either of the two, 1 bedroom/1 bath, semi-attached guest suites or to the 2 bedroom, 2.5 bath main residence. There are eight-foot tall doors & gorgeous mahogany floors, soaring ceilings & central sound throughout. Double pane windows abound emanating lots of light. A chefs dream kitchen boasts book-matched, African Sapele mahogany, soft-close, full-extension cabinetry, specimen quality, full-height granite counters, a Wolf 5 burner gas cook-top, convection oven & microwave & SubZero fridge. The spacious living, dining & kitchen area opens to an expansive 505 s.f. 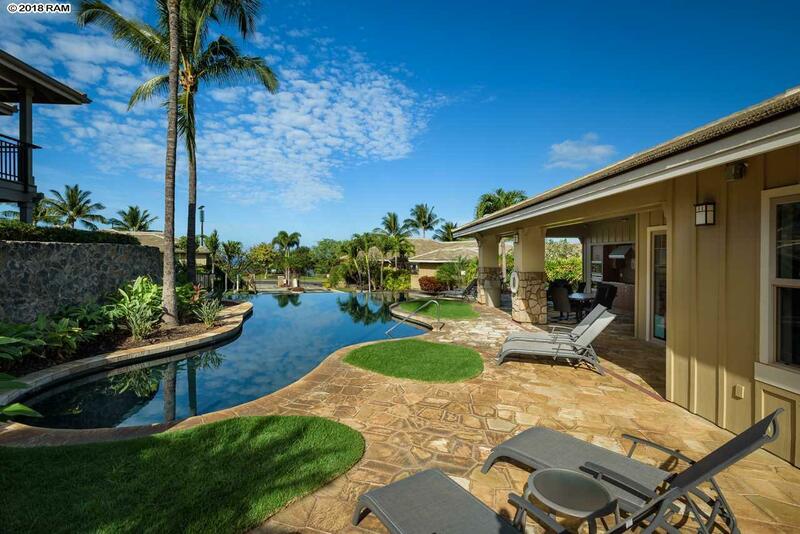 quartzite-tiled, West facing lanai that offers pastoral ocean & Molokini views. All 4 of the large bedrooms have gorgeous en-suite baths with natural stone counters, stone or porcelain vessel sinks, & an elegant glass enclosed shower with floor to ceiling travertine tile. There is an custom platform tub in the master bath.The fourth bedroom/media room, with full walk-in closet, features a custom mahogany entertainment center with surround sound. A powder-room, 1/2 bath, is just off the living room. 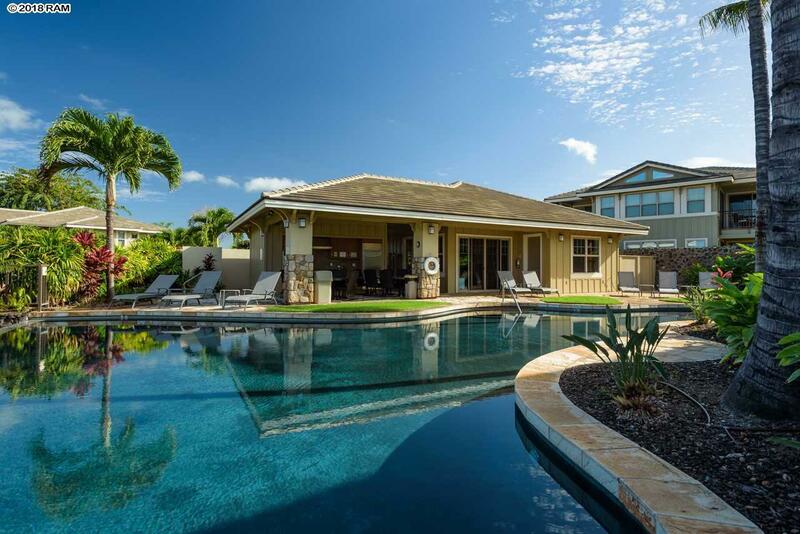 Kanani Wailea is a quaint, lushly landscaped, gated enclave of condominiumized free-standing residences in Wailea. Owner's enjoy a lovely pool & spa plus a fine quality pool-side recreational kitchen. 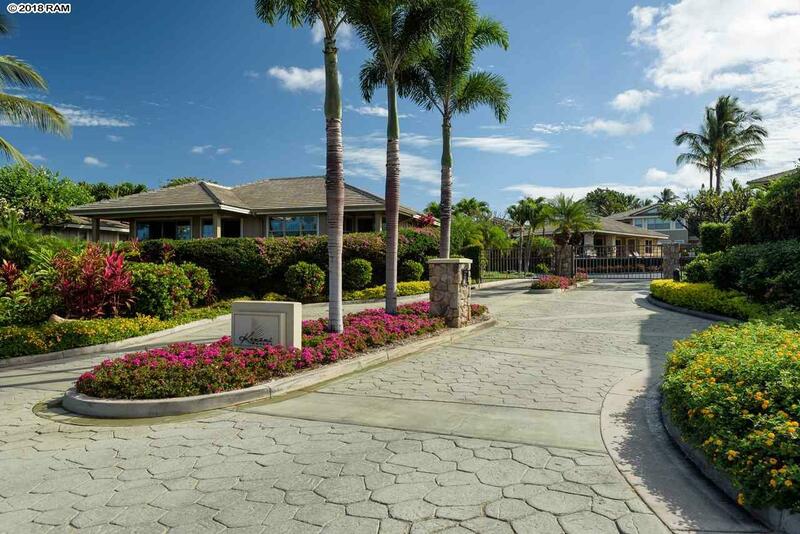 World Class golf, tennis, beaches, fine dining, shopping & spas are just blocks away. This is a must experience!